This map is loosely constructed around the legend of the Lost Dutchman’s Mine. It runs from 1892 to 1930. Time has been slowed down. It is intended to be played against 3 AIs. 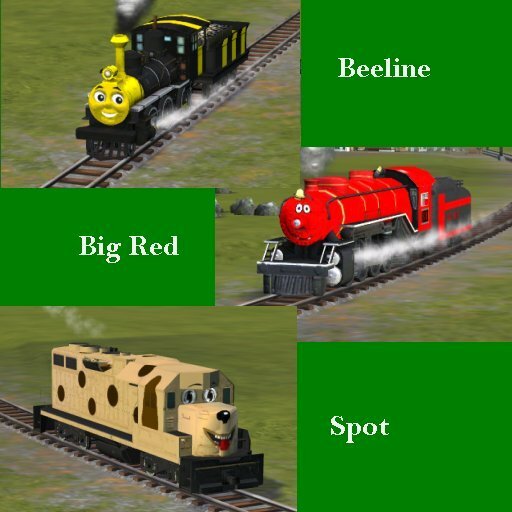 It features some new engines, goods and industries. There are new city buildings including a Mercantile, Barbershop, Hotel, and others. There is a listing of goods and industries if you wish to use it included within the zip. 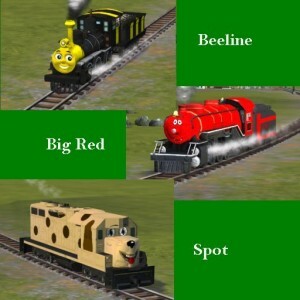 Start Young People On Railroads! This map is intended to entertain the young folks. I started this after reading a post stating that someone got back into SMR because their 2 year old enjoyed watching the trains. So here’s one to try with your child or grandchild. You can play the whole scenario in 30 to 40 minutes. This was designed for the entertainment of young folks and to be played as a solo map or in Table Top mode. That said, there are 4 starting locations so play against AI is possible. No testing against AI was done. While I know the map will function with AI, I have no idea what the playability with them would be. This map is not difficult and was not meant to be. It was designed to hopefully make a child smile. My youngest grandson is visiting in a couple of weeks and I look forward to showing it to him. Money should not be an issue in this scenario. Delivery of some mail and passengers should keep the funds flowing. And then there are the diamonds…. Enjoy. 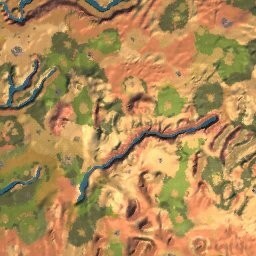 Howdy Partner, This here is the Four Corners Dual Map – a version to play against AI, and a Solo version for those with a pioneering spirit. It features an open pit copper mine, new trains, traincars, some new industry… Now a’fore you jump right into it, you be sure and read this Readme file so’s to get off on the right foot. See ya in the Four Corners sonny! This map did not start out to as a dual map. I had intended to try and build a map that would require some development work on the part of the player. It quickly became obvious during testing, that the AI players could not deal with this type of environment. They don’t develope anything. They will use whatever is available, but that’s it. 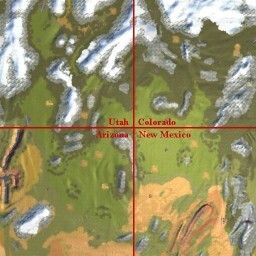 Thus the map became an AI version and a Solo version. I would urge you not to use AI in conjunction with the Solo map. 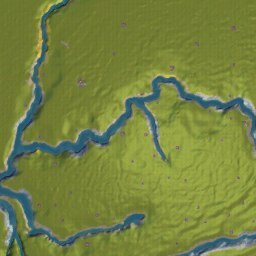 The AI will either spend all their money stretching long track runs across the map, or they may just sit in their starting locations and do nothing. Either way, it doesn’t make for much fun. This map features new goods, industries, engines and new music.